24/03/07, Barcelona, Spain. 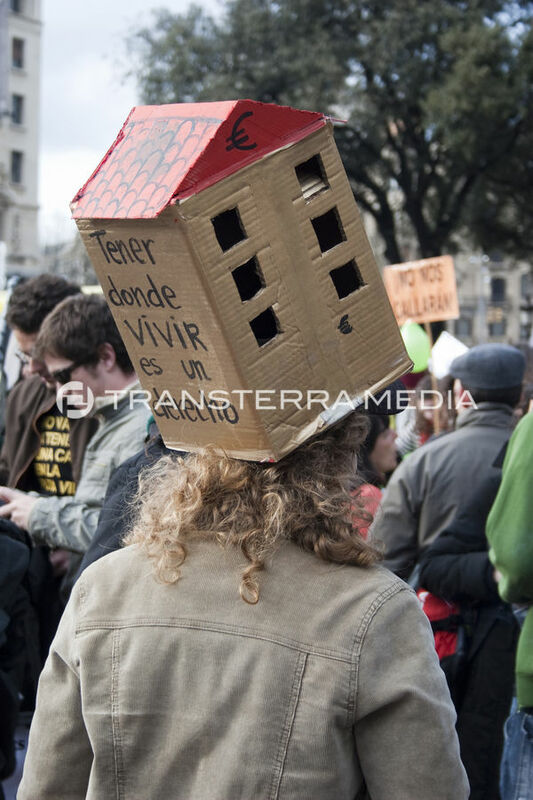 Young people with their protests warned of the housing bubble phenomenon and its consequences. It is from 2008 that begins to deflate and the economic crisis begins. Before the youth could not afford a home because of its high price and now they can not do it because of the unemployement.